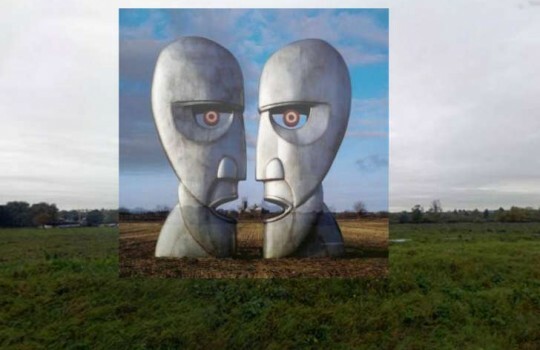 Places throughout the world are deeply defined by the very Art they inspire. 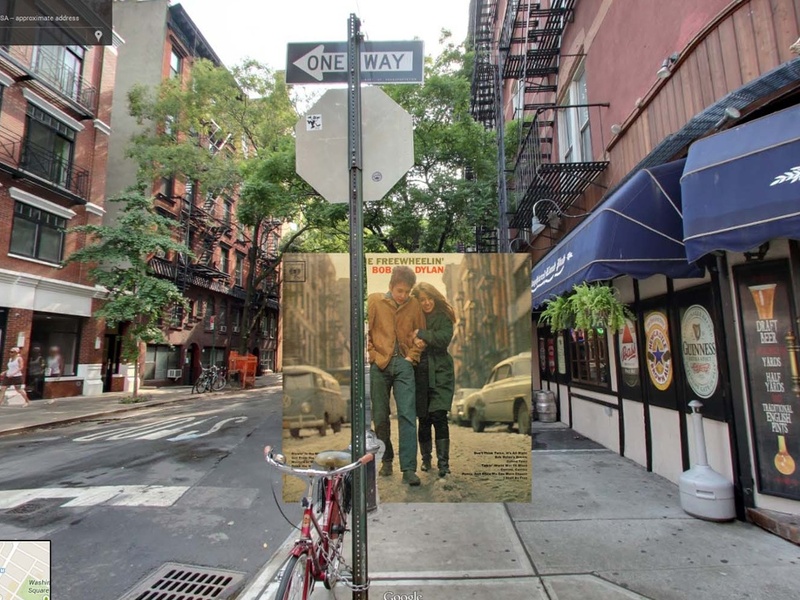 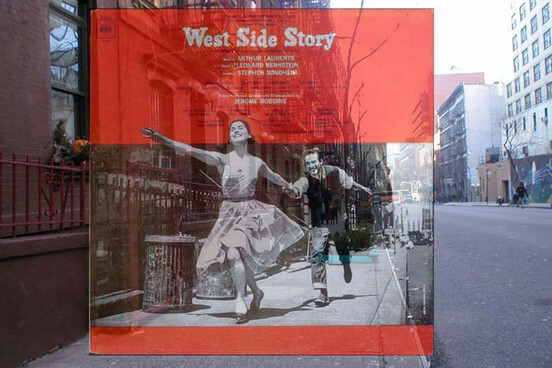 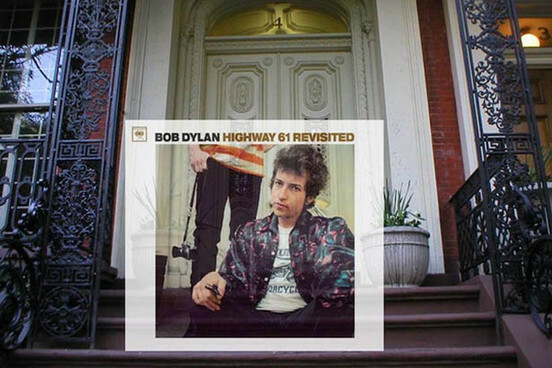 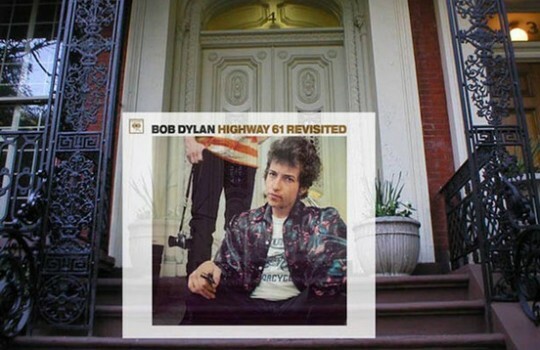 Which fan of Bob Dylan’s timeless tunes could visit the West Village without humming ‘Blowin’ in the Wind’ or ‘I Want You’? 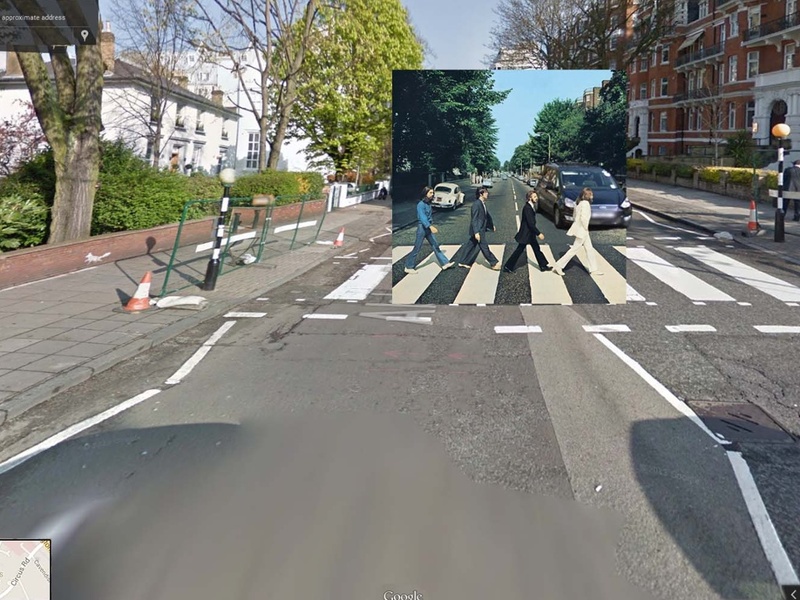 Or who will ever think of Abbey Road without the Beatles? 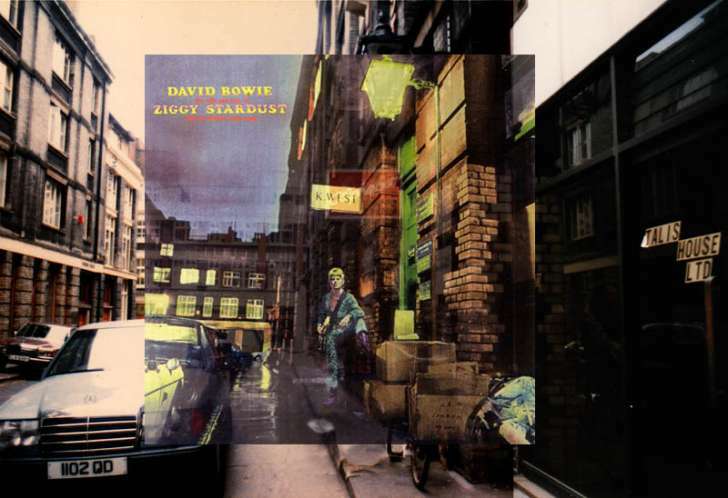 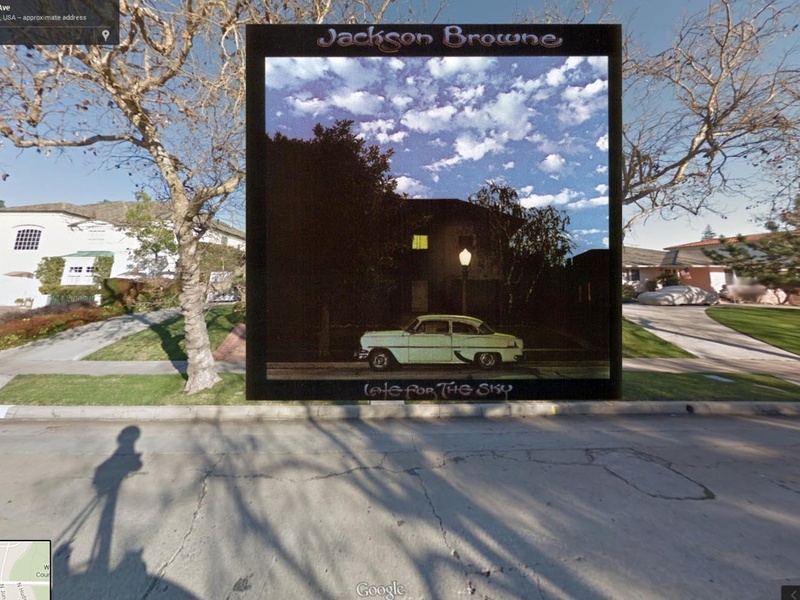 Inspired by the initiatives of The Guardian and Mass Appeal we had the idea to create The Ultimate Map of Pop/Rock Music Album Covers (with Google Steet View when available). 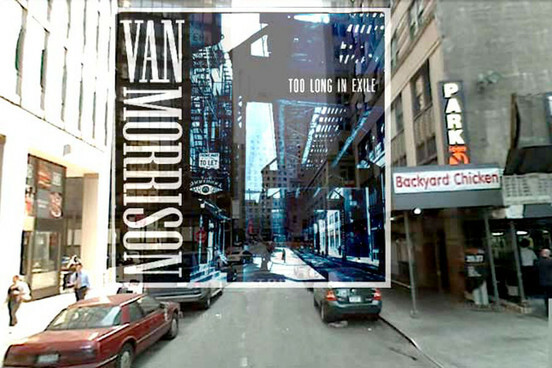 This is a work in progress with album locations being added on the fly as we find them. 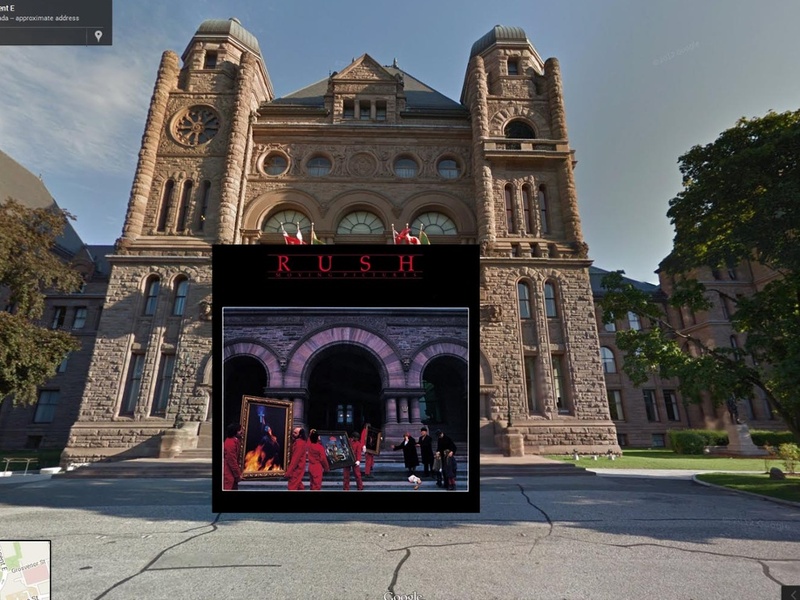 Please feel free to share your own locations in the comment section – kudos in advance for your help. 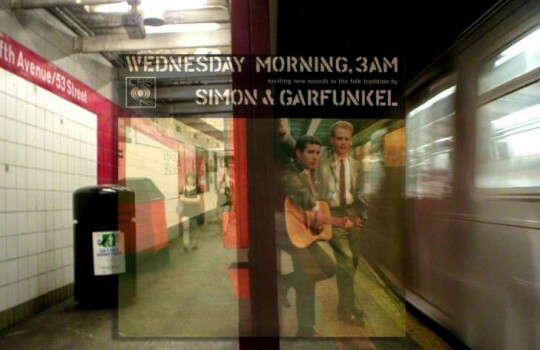 Let’s embark together on a legendary music trip revisiting Pop/Rock classics all around the world and through time! 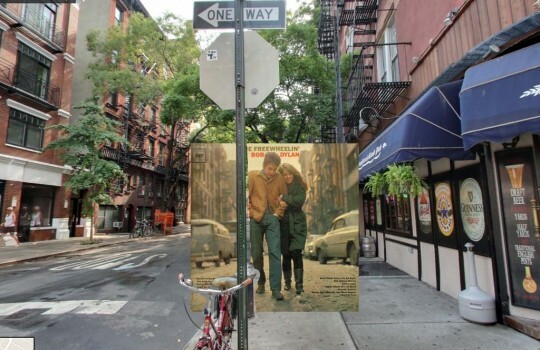 Bob Dylan walking in New York's West Village with girlfiend Suze Rotolo in 1963. 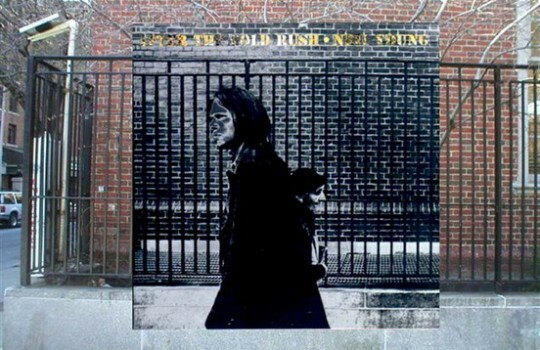 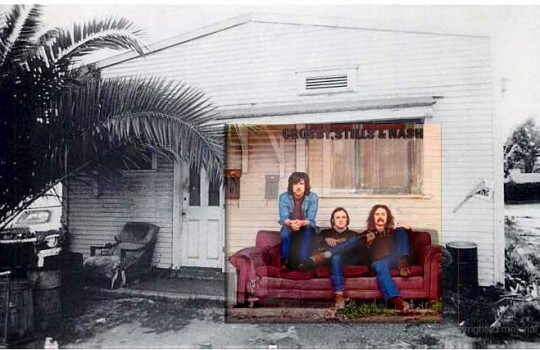 Taken by Joel Bernstein, the photographer was surprised that Neil Young would pick this photo for the cover of his album 'After the Gold Rush'. 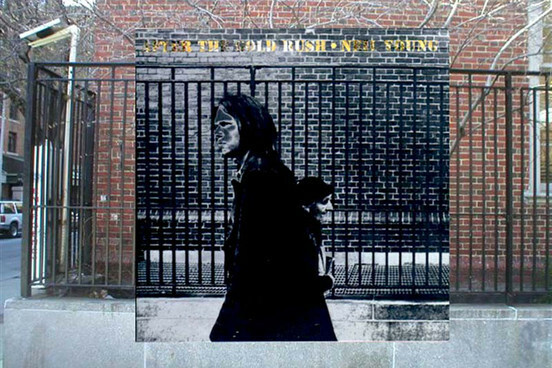 Although Bernstein did intend to photograph Neil Young at the moment the old woman on the picture passed next to him, he got the focus wrong and had to solarize the print to hide it. 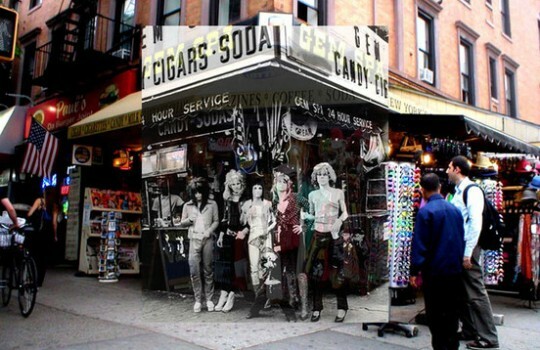 Check out the original photo here. 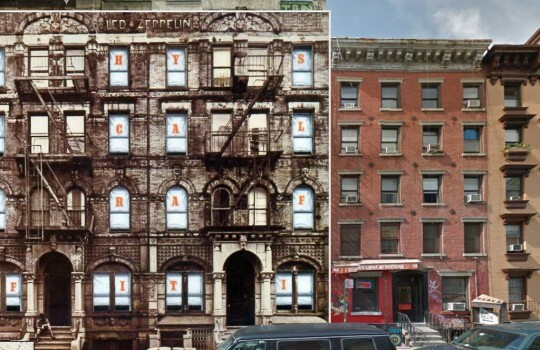 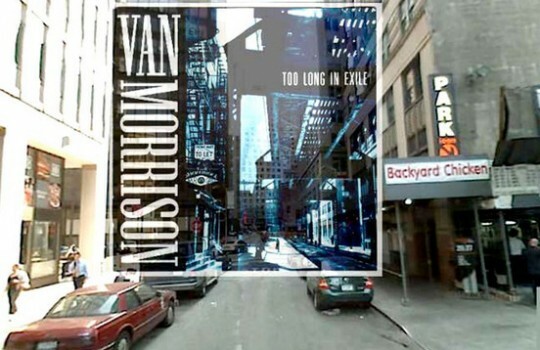 The East Village's building on St Mark's Place is still standing to this day. 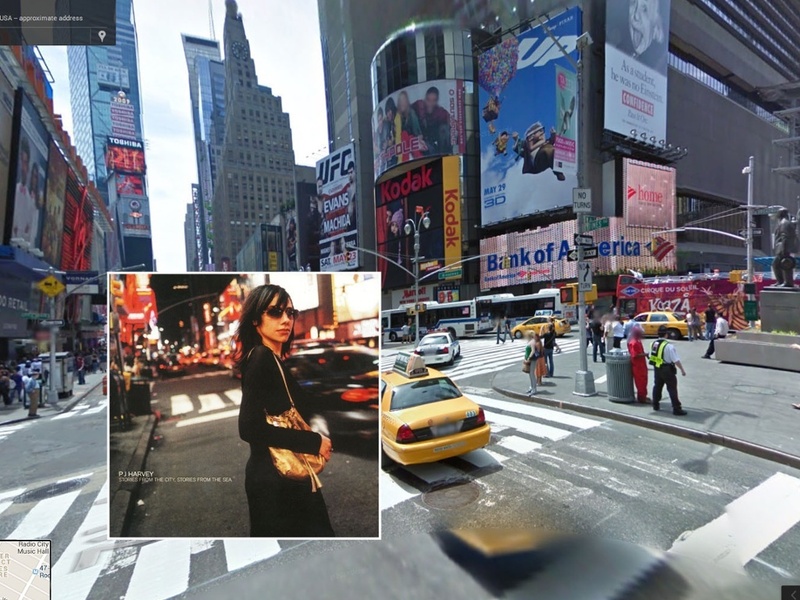 Make sure to have a look if you visit New York! 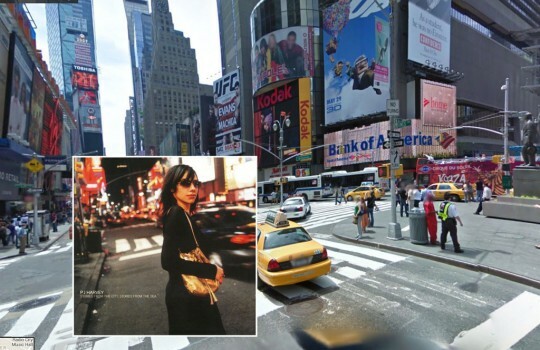 The British rock singer crosses 7th Avenue on the iconic Times Square in New York. 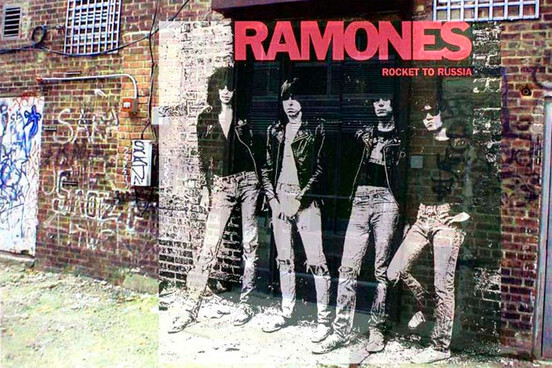 For Rocket to Russia, The Ramones posed before the back door of the legendary punk club CBGB. 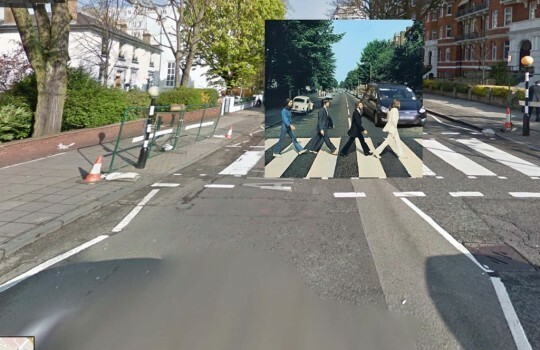 Abbey Road is where the Beatles recorded their penultimate masterpiece album in 1969 and by doing so establishing the street as one of London's most famous landmarks for evermore. 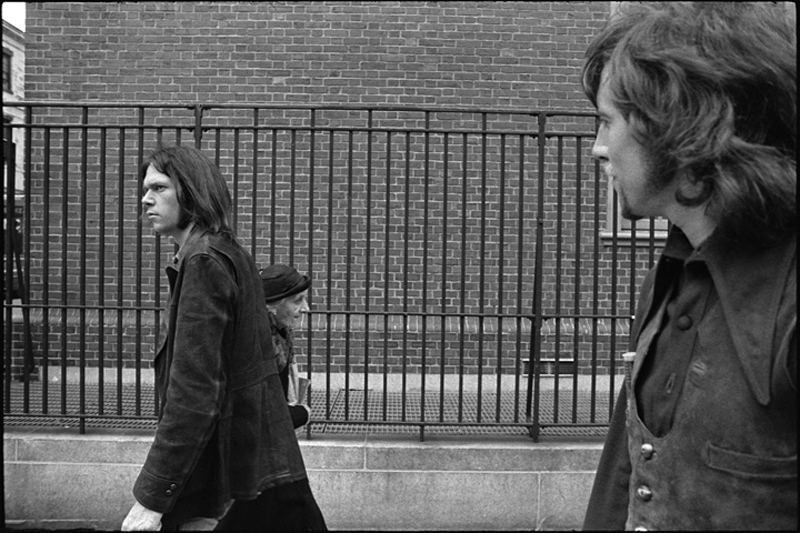 Undoubtedly one of the best Rolling Stones' albums, Between the Buttons features a photo of the band in Primrose Hill at 5:30 in the morning. 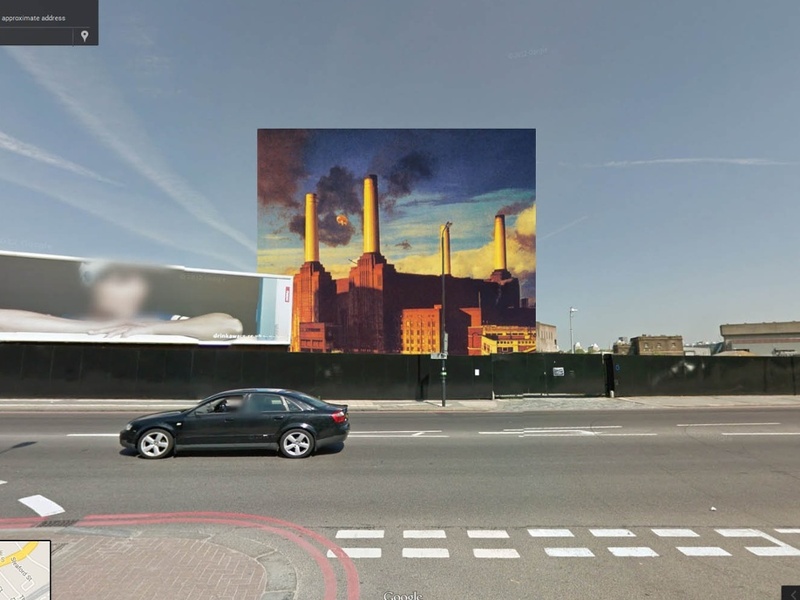 A recurring landmark in cinema, London's iconic Battersea Power Station was chosen by Pink Floyd for the cover of their album Animals. 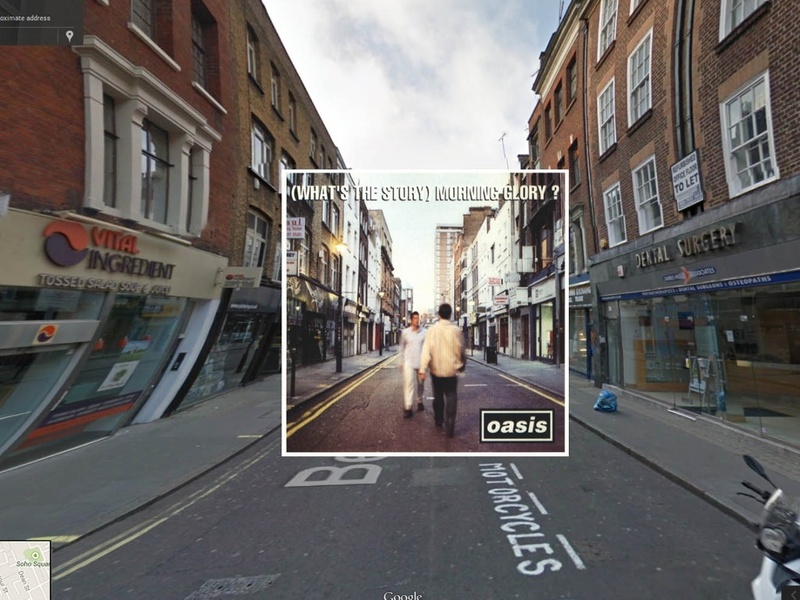 The peak of Oasis' career stands in Berwick Street in Soho, London. 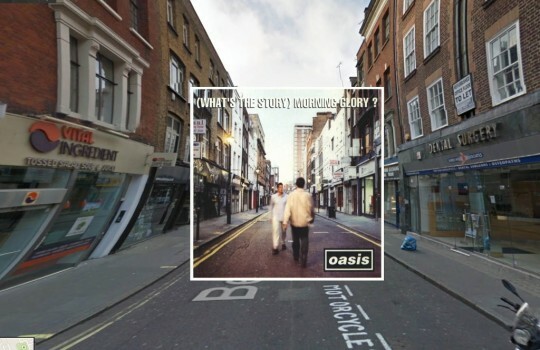 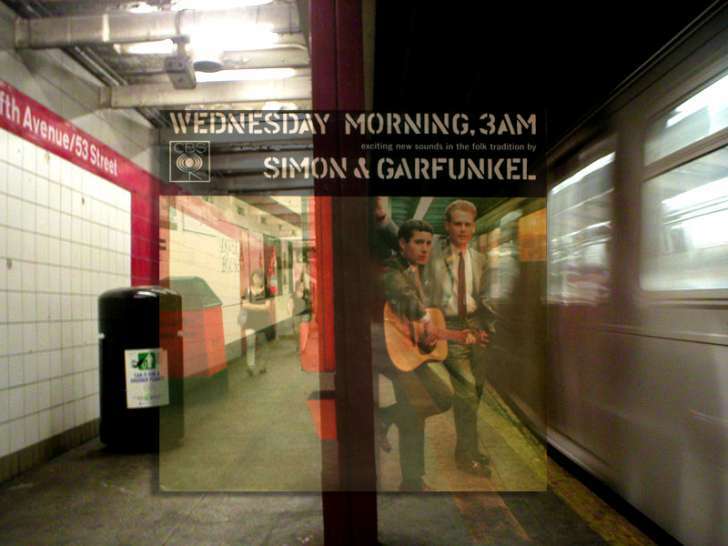 Along with Definitely Maybe, (What's the Story) Morning Glory showed a lot of promise that never quite materialized. 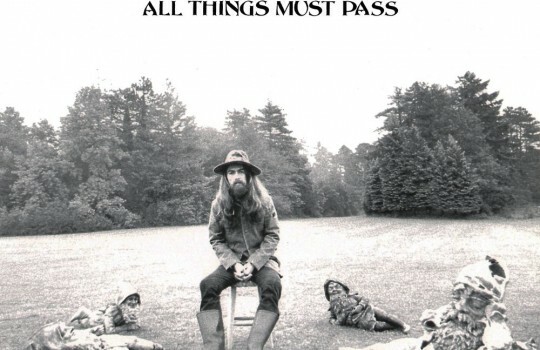 The famous photo on the cover of All Things Must Pass was taken in Friar Park in England. 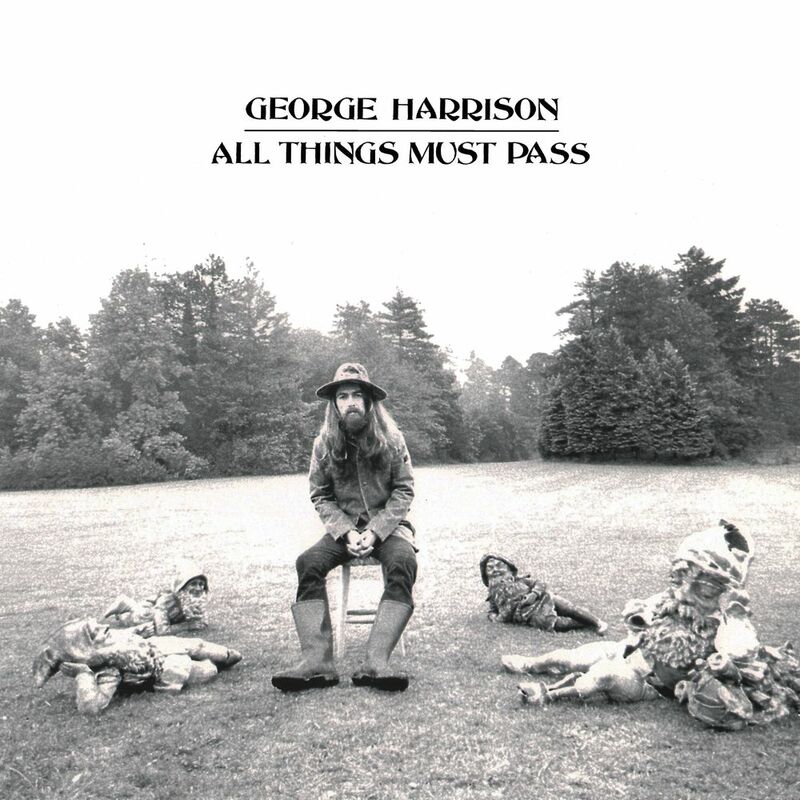 Featuring George Harrison surrounded by garden gnomes - a barely masked reference to the Beatles - it quite annoyed John Lennon. 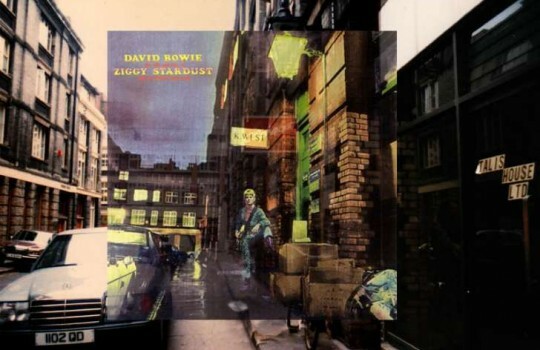 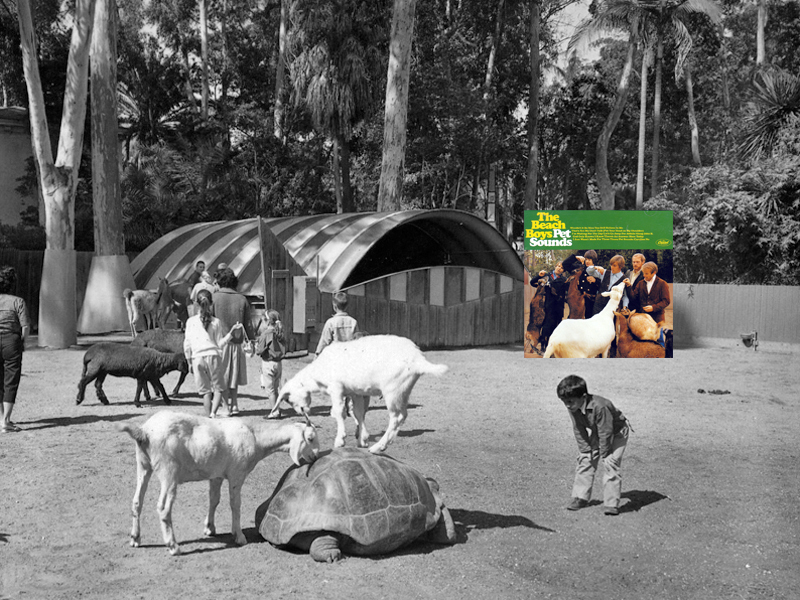 Perhaps the best solo album by a Beatles' member with Paul McCartney's Ram. 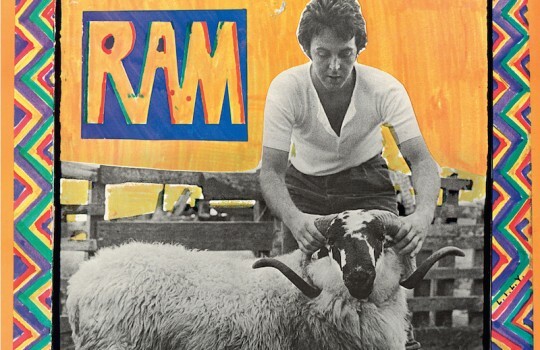 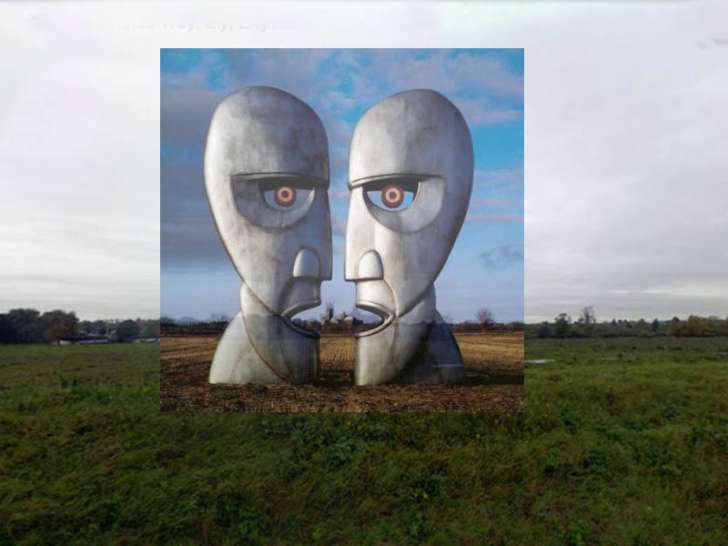 The cover of Ram On was taken at Paul and Stella McCartney's farm on Kintyre, Scotland, where they retreated to record the album. 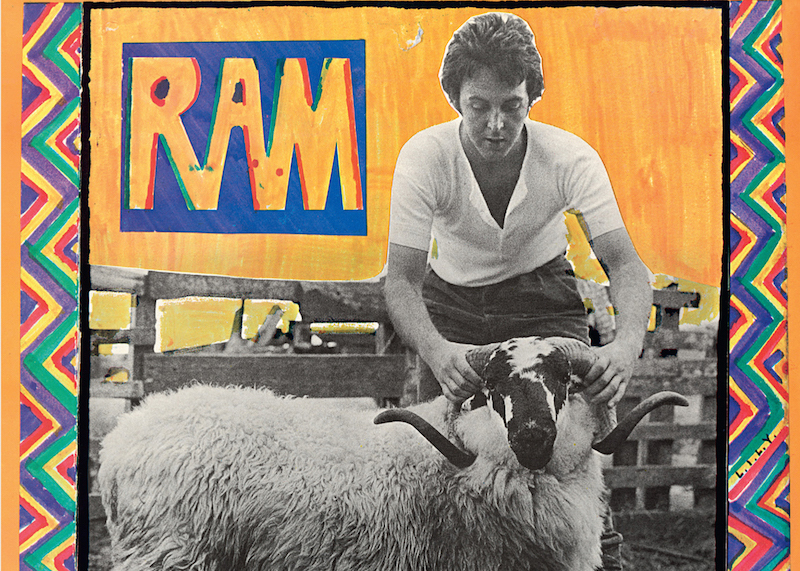 John Lennon later parodied Ram On's kitsch sleeve by taking a photo where he's holding the ears of a pig. 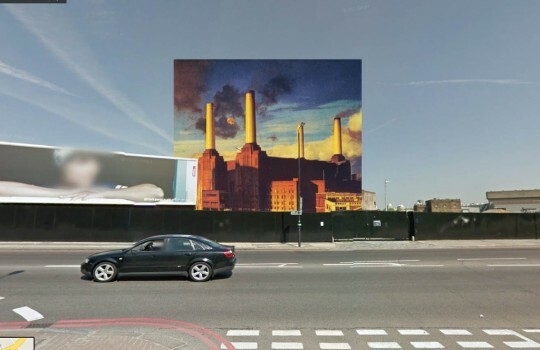 John, you joker! 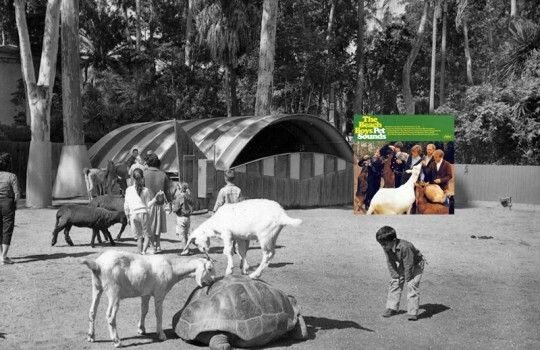 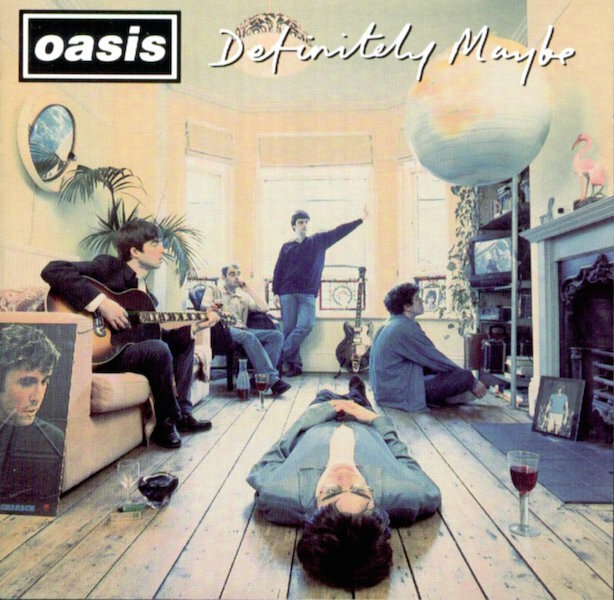 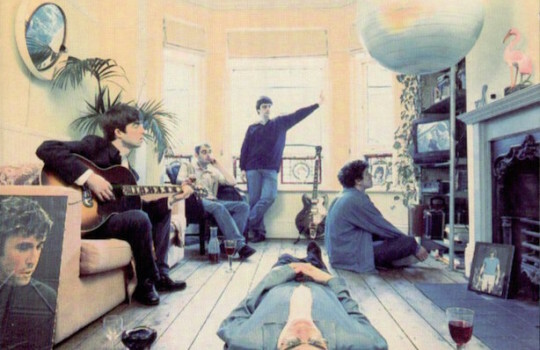 The photo on the iconic cover of Oasis' debut album was taken in guitarist Paul 'Bonehead' Arthurs' room and features many interesting details like the picture of Manchester United's legend George Best or The Good, the Bad and the Ugly playing on TV. 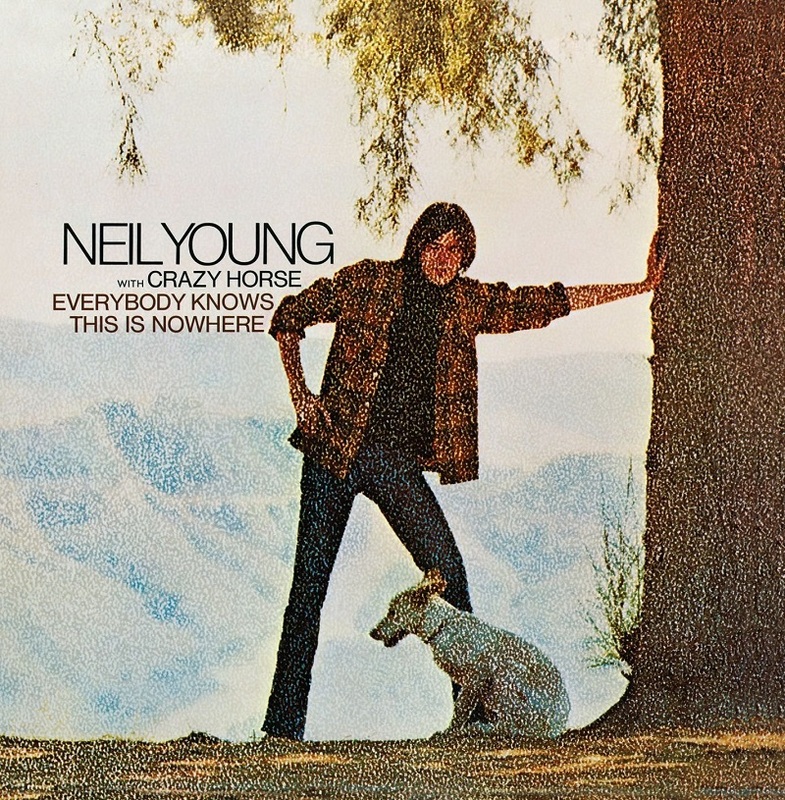 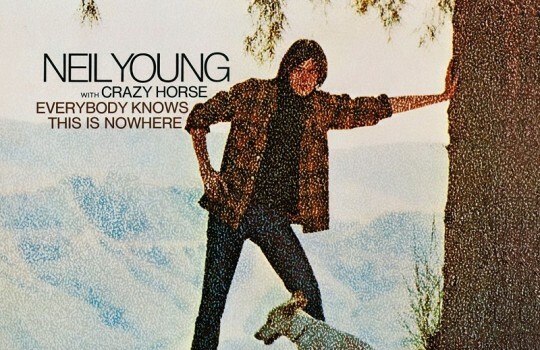 Starring Neil Young and his dog Winnipeg (named after the artist's hometown in Canada), the photo on the cover of Everybody Knows This is Nowhere was taken at a ranch in Topanga, California. 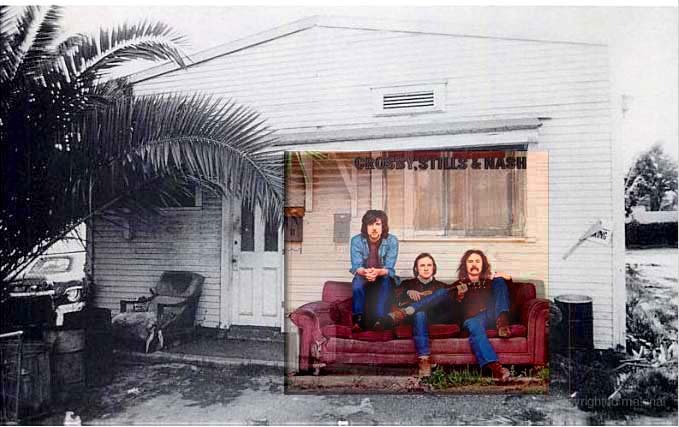 Willy and the Poor Boys features a photography of Creedence Clearwater Revival playing for local kids in front of Fish Kee Market in Oakland. 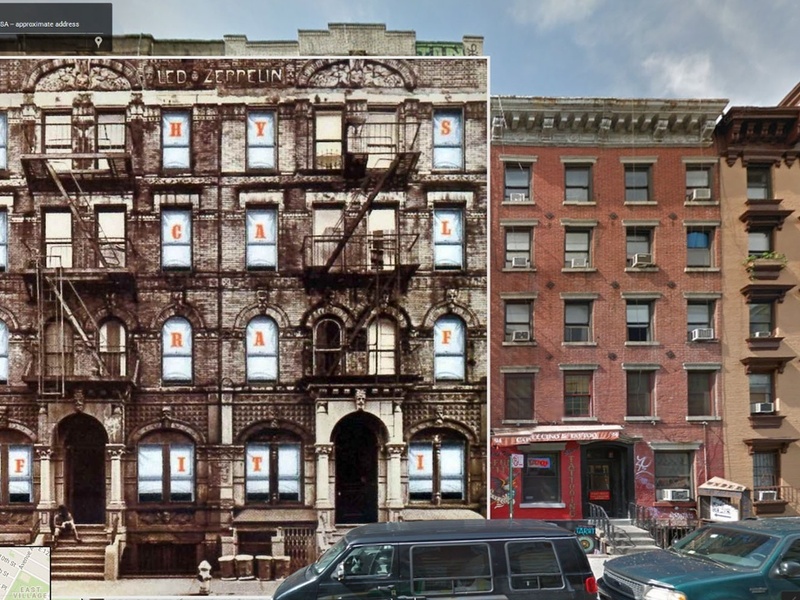 The building is still there but has been entirely plastered over. 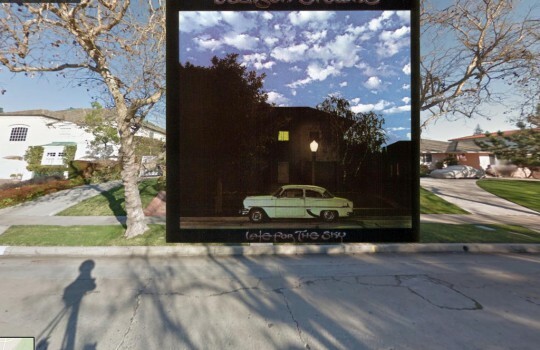 The surrealist artwork of Late for the Sky is the collage of a picture taken at night near Hancock Park in Los Angeles with another sky, as a sort of hommage to Magritte's paintings. 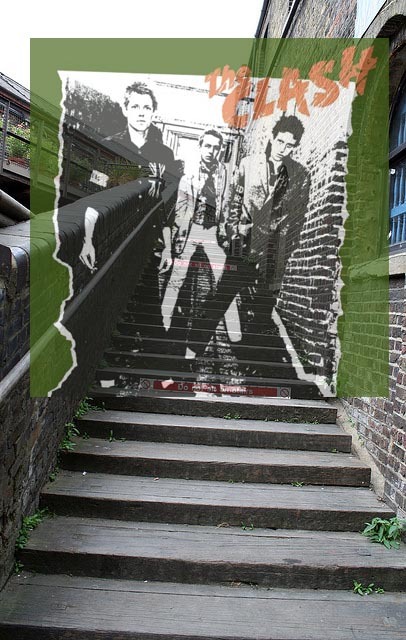 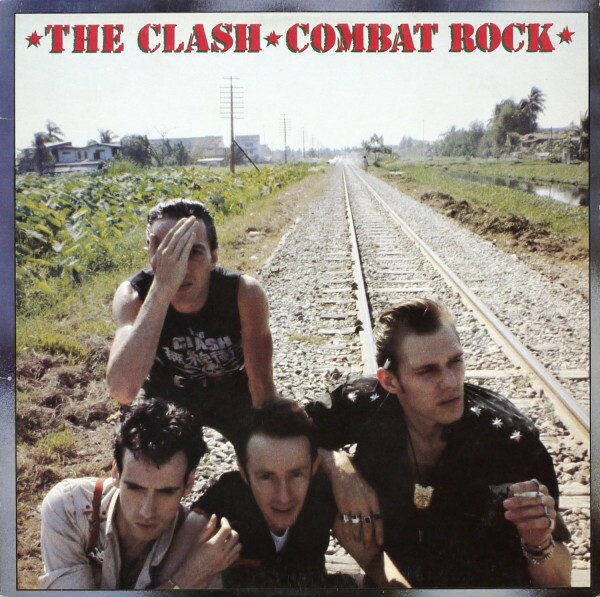 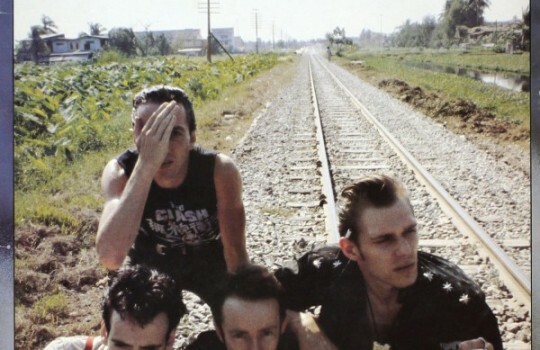 For Combat Rock, The Clash was photographed by Pennie Smith on an abandoned railroad in Bangkok during their Far East tour of 1982. 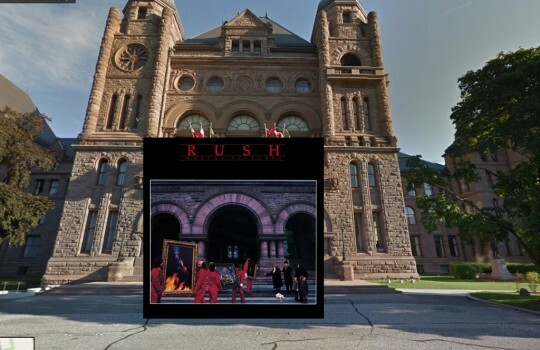 The cover of Moving Pictures by Rush shows the Ontario Legislature in Toronto. 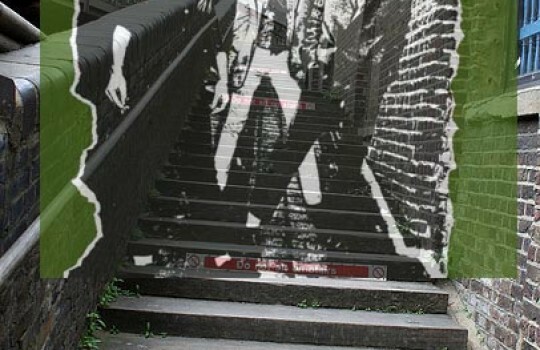 Please come & check out my site … I think you might like it?